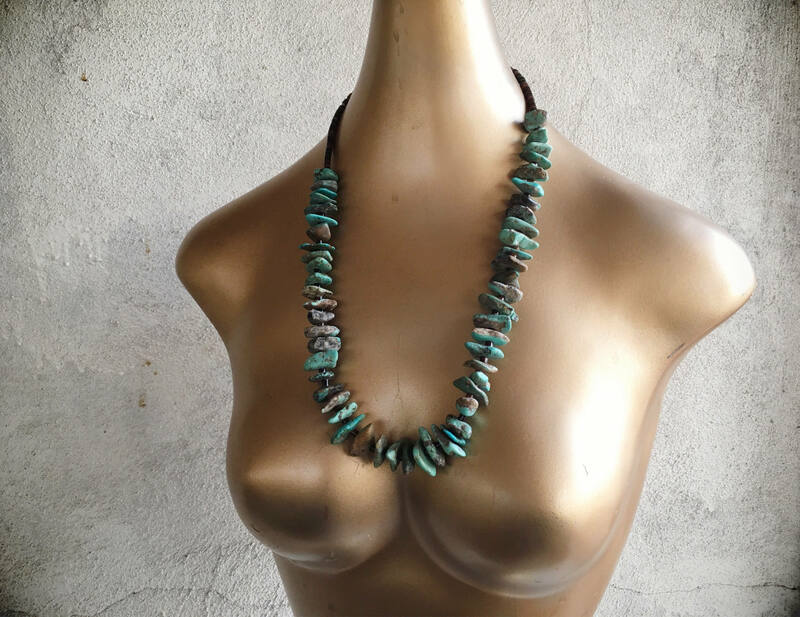 Like many pieces in my shop, this circa 1980s turquoise nugget necklace stands out for the beautiful turquoise. 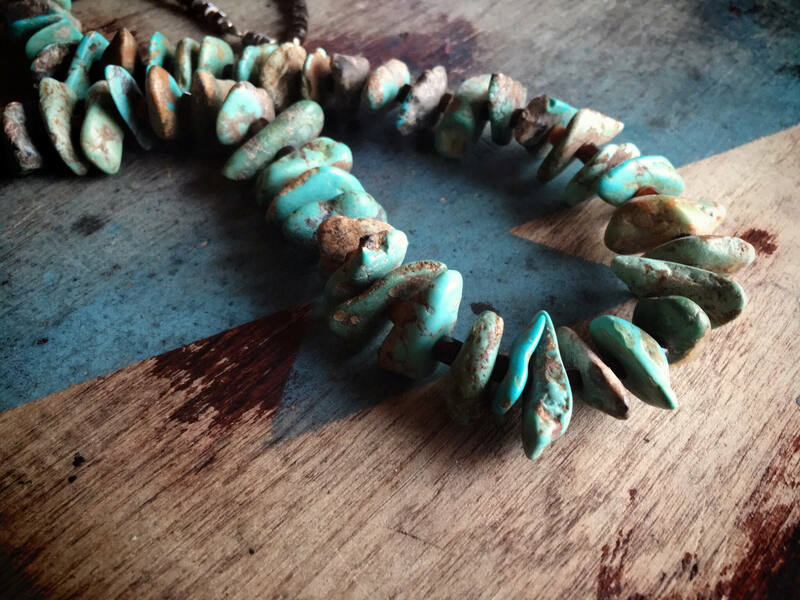 A dusty blue-green and green-blue with LOTS of brown mother stone, the natural turquoise nuggets are striking. A few of the pieces have been stabilized to prevent crumbling, and one piece has in fact broken, but for the most part they are in good condition. 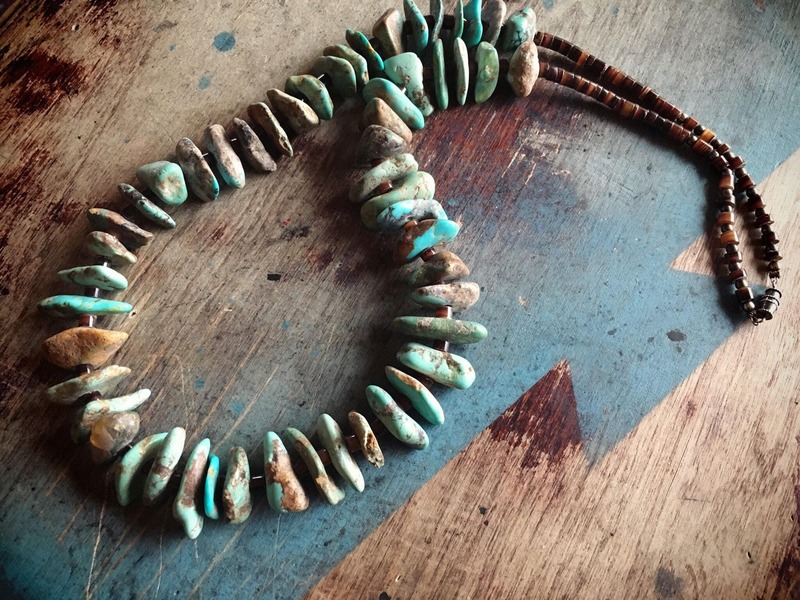 The dark pen shell heishi in between sets off the color of turquoise. 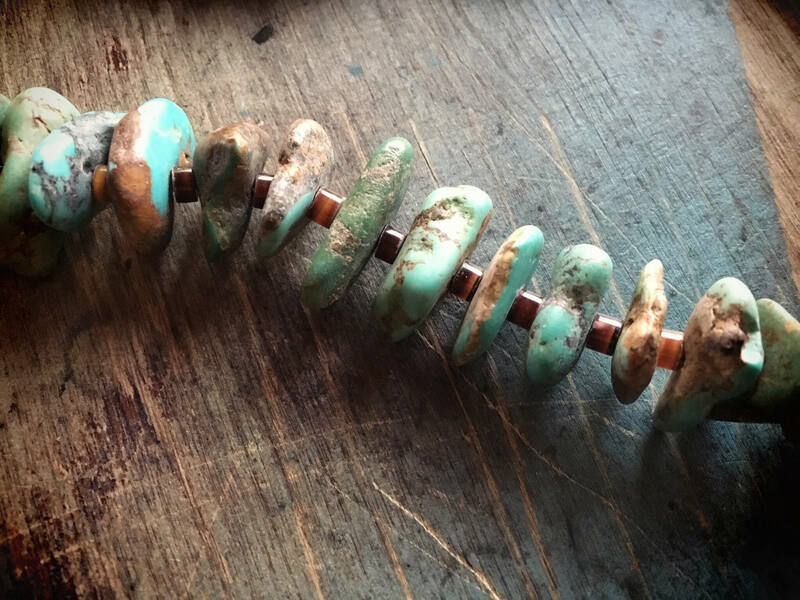 This is not a new piece, and the heishi length at the top has a bit of kinking, plus there is a small gap at the top near the barrel clasp on account of the cord stretching. 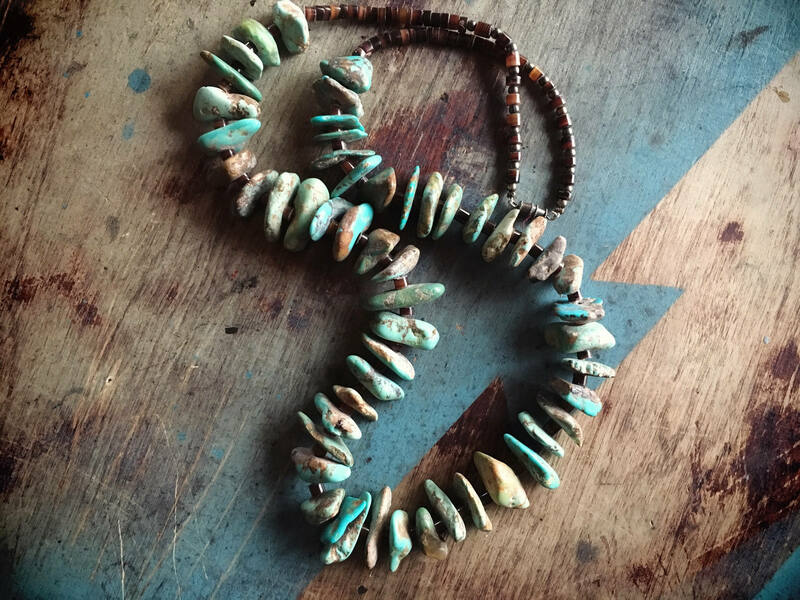 But overall in good condition, and perfect to dress up jeans and a tee or to add a touch of Southwest to an open-neck blouse. 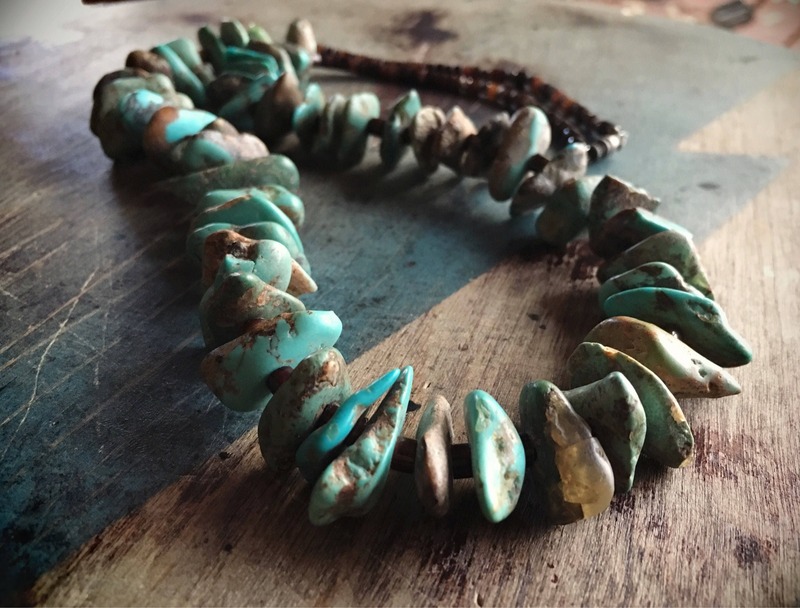 The turquoise stones range from about 3/8" long to just over 3/4" long and are mostly the same size versus being graduated--some are a bit more flat and others more thick but in general they are made to be somewhat flattish in style. 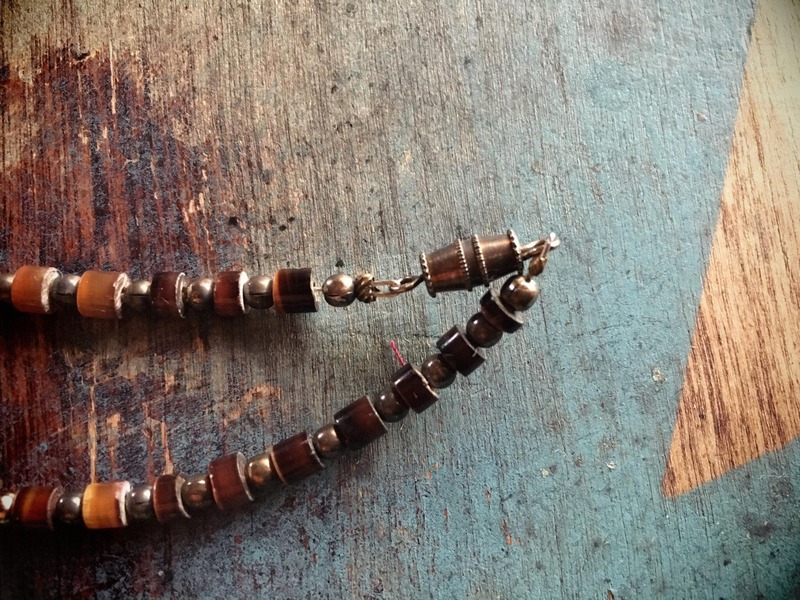 Total necklace length from hook to eye is 27" and not adjustable. 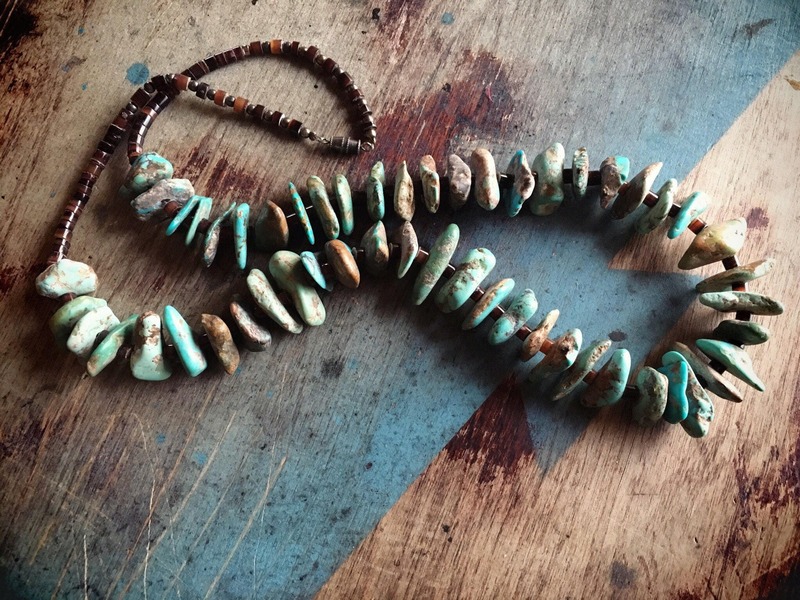 The stones are strung on silver wire. 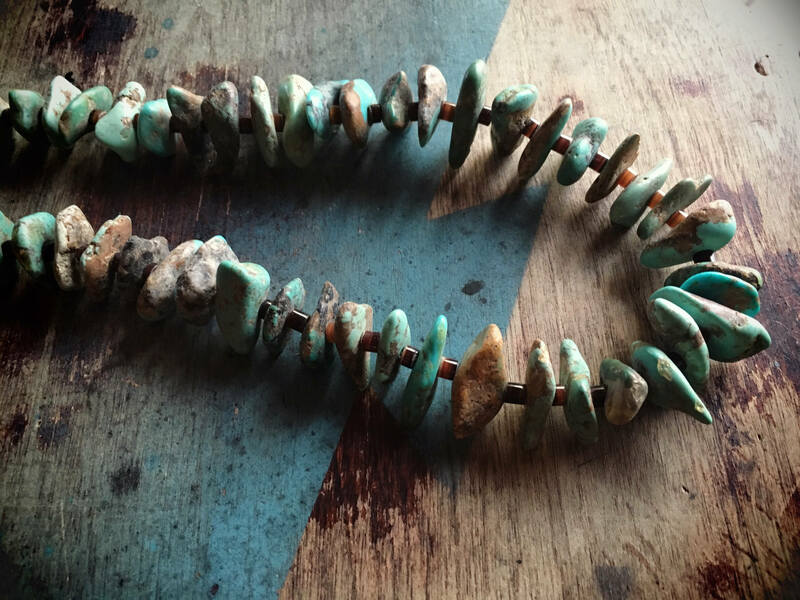 A great boho necklace that will be noticed and seen! So lovely - thank you.